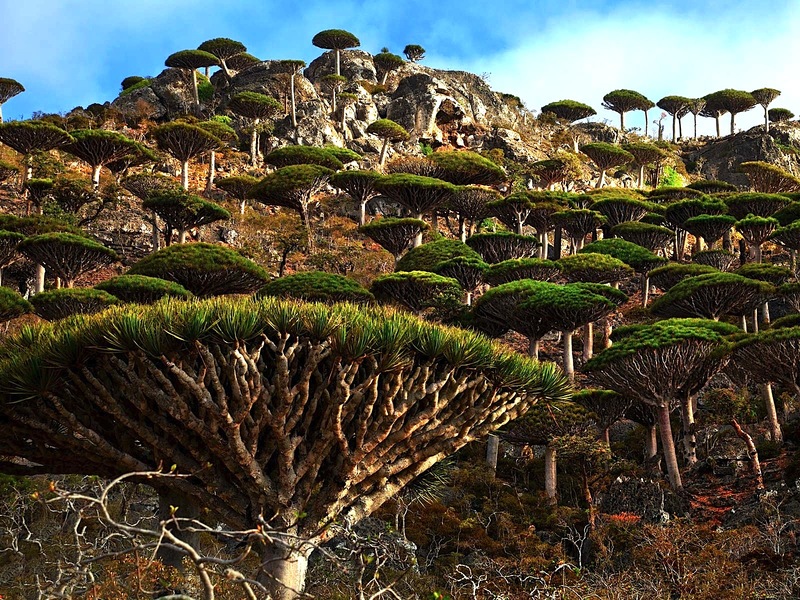 Alien-like looking Socotra (Arabic: سُقُطْرَى‎‎ ) is an island in the Arabian Sea and part of Yemen. It is very isolated and ruled by hot and harsh weather. Due to these weather conditions, the flora and fauna on the island is very unique. Around one third of its life is found only on this island and nowhere else on the planet. Some trees, in order to store water, grow very obese looking trunks – hence the name “Adenium Obesum”. Others, like the dragon-blood trees, grow large treetops to provide as much shade as possible in order to prevent evaporation. All these survival mechanisms result in something described as “the most alien-like looking place on earth”.